No matter if woven or braided - glass, carbon, aramide or polyester hoses protect cables or pipes against mechanical and thermal loads. 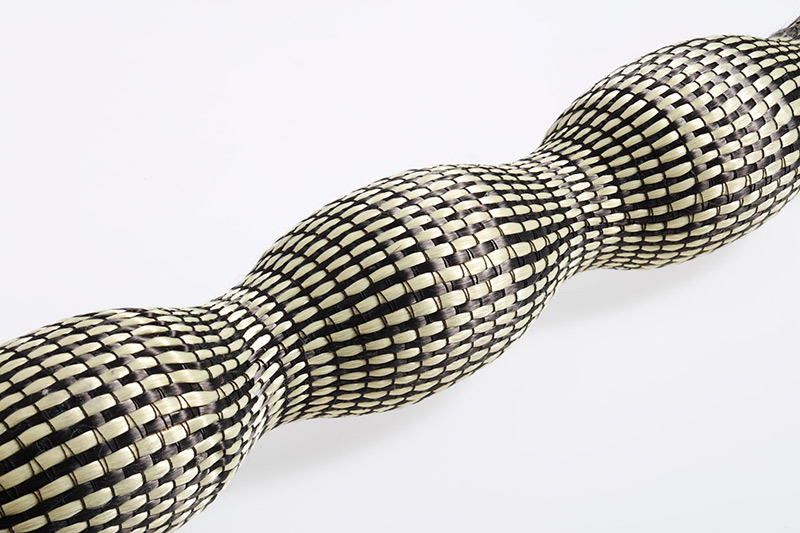 Woven hoses can be produced stable and elastic perpendicularly (diameter). 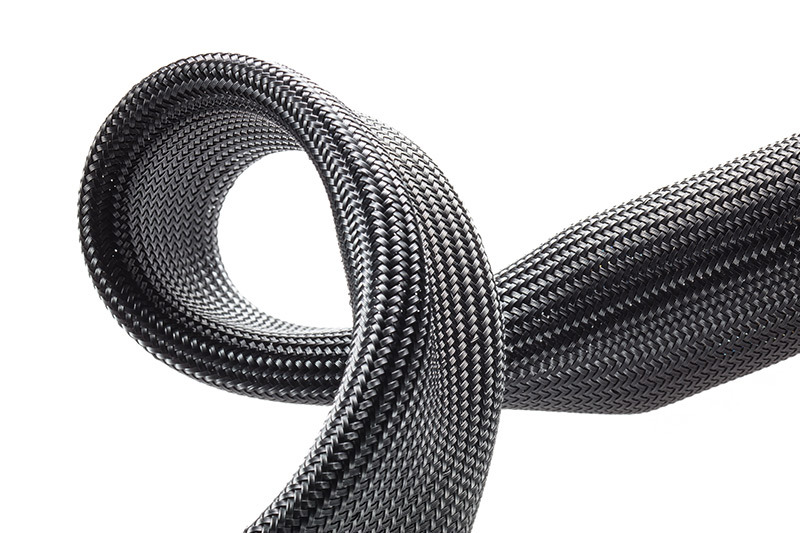 Elastic hoses perfectly adjust to components, because the elastic bevahviour considerably improves drapability of the hose. An elastic weft yarn in the hose fabric make the hose dilatable. Braided hoses are elastic due to the speciall adjustment of the yarns in the braid. Besides using different sorts of materials, also diameter can be variable. Direct braiding of inside components at a maximum diameter of 35mm is also possible.There are no limits to diversity. Our hoses are used in all kinds of fields, for example as cable protection in vehicle manufacturing and as pipe protection in engineering applications. Additionally to straight hoses, curved structures can be realized as well.